Almost everybody knows that baking soda has a wide range of uses in households. It is an excellent deodorizer and cleaning agent and is used in the kitchen for preparing luscious dishes, but its uses don’t rest at that. Not many people know that baking soda can be used as a shampoo as well. And the best part about it is that it is far more effective and beneficial than the commercial ones. When baking soda is used as a shampoo, it not only cleans the scalp and hair but also provides the necessary nourishment. Baking soda is also very effective in curbing dandruff. So, once you start using baking soda, you can very well bid the itchiness and flaky scalp a goodbye. Baking soda, single handedly, can become the solution to almost all of your hair care problems. To top it all, it is very cheap and readily available in stores, so you don’t have to look high and low for it. Additionally, there is no known side effect to it so you can rest assured that it secretly won’t prove detrimental to the health of your scalp. It also keeps the hair soft and glowing. Given below in the article are two recipes to help you prepare baking soda shampoos. Take two tablespoons of baking soda in a bowl and add a little bit of water to it. Mix to form a thick paste. Now take the paste and massage it on the dry scalp using the fingers. Keep massaging the scalp for 30 seconds. Leave the baking soda on the scalp for 30 seconds for it to set. Then, rinse thoroughly with water. Now apply a homemade conditioner to the hair. Mix one part of apple cider vinegar to four parts of water. Apply this on the scalp and hair and leave it for 30 seconds. Thereafter, you can either rinse the vinegar or leave it on the hair. 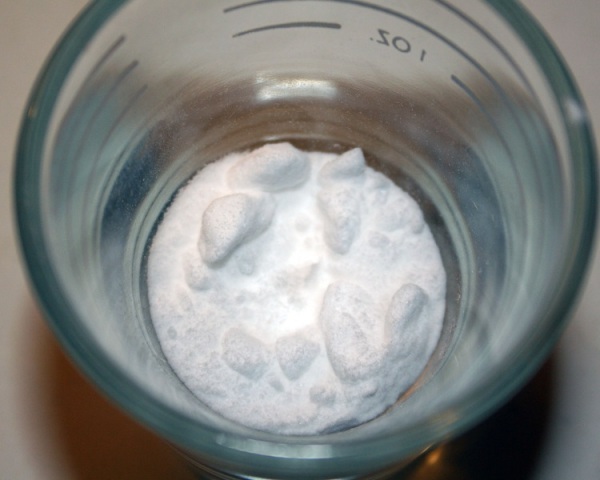 In a small bottle, mix one part of aluminum-free baking soda with three parts of water. Shake the bottle well. Massage the scalp with this shampoo for a couple of seconds. Make sure that your scalp is dry before putting on the shampoo. This will help you to control the solution. Do not use this solution to the entire length of the hair, as it will make the hair dry and frizzy. Also, protect your eyes from this solution, as it can cause a burning sensation. Leave the shampoo on the scalp for about three minutes and then rinse thoroughly. The baking soda will exfoliate your skin, leaving a lot of dead skin flakes. Next, mix one part of white vinegar with four parts of water. Add a single cinnamon stick and half a teaspoon of vanilla essence. This is an extremely good conditioner and is absolutely necessary after washing the hair with baking soda shampoo. Apply the conditioner on the scalp and hair and leave it for a few seconds before rinsing with water.